I broke every promise that I made, some in love and some in vain. 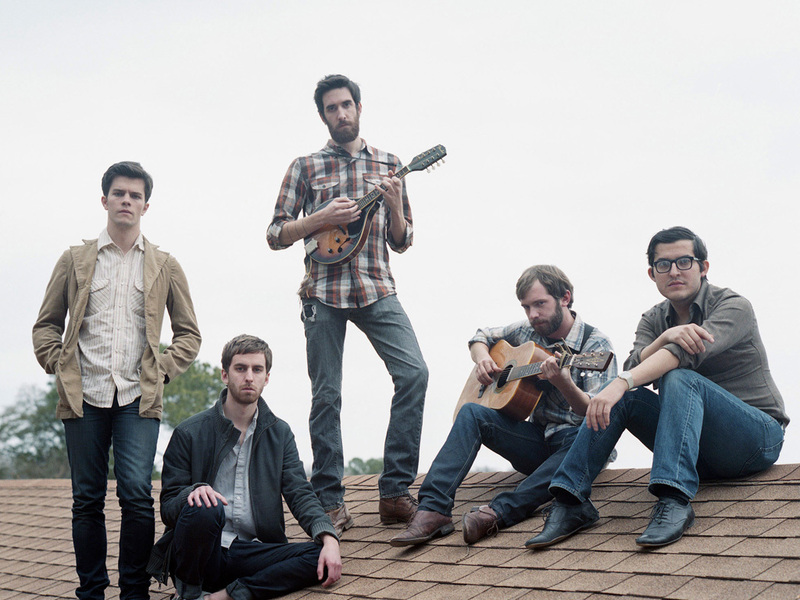 Buxton is a five piece ensemble from Houston, Texas known for their explosive, folk-based rock songs. The band’s fusion of lovely harmonies, jarring explosions of energy and meticulously applied instrumentation is led by Sergio Trevino on Vocals/Guitar with Jason Willis on lead Guitar/Mandolin, Chris Wise on Bass Guitar, Justin Terrell on Drums and Austin Sepulvado on Guitar/Vocals. On January 31, 2012, the band released their debut album, entitled Nothing Here Seems Strange, on New West Records. The release included a limited edition 7-inch for the album’s first single, “Boy of Nine.” Their music is a study in contrasts: rock and folk, subtle yet eccentric, lush harmonies over prickly guitar. They’ve played a sold-out CMJ show in New York, and have also brought their songs to West Coast cities including San Diego, San Francisco, and Los Angeles, where they played a benefit show for the non-profit 826LA. In addition, Buxton has headlined and supported (with Frontier Ruckus, Chamberlain, and The Donkeys) in other major cities like Chicago, Memphis, and Austin, as well as their hometown of Houston. They’ve also had stops at the Americana Music Association festival in Nashville, and the Bristol Rhythm and Roots Reunion in Bristol, Tennessee. 2013 sees the band continuing regional tours across the United States, and road testing newer material. The tour includes the addition of a “Constructive Criticism Box” at their merchandise table.